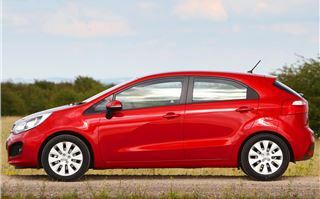 Meet KIA’s Fiesta. 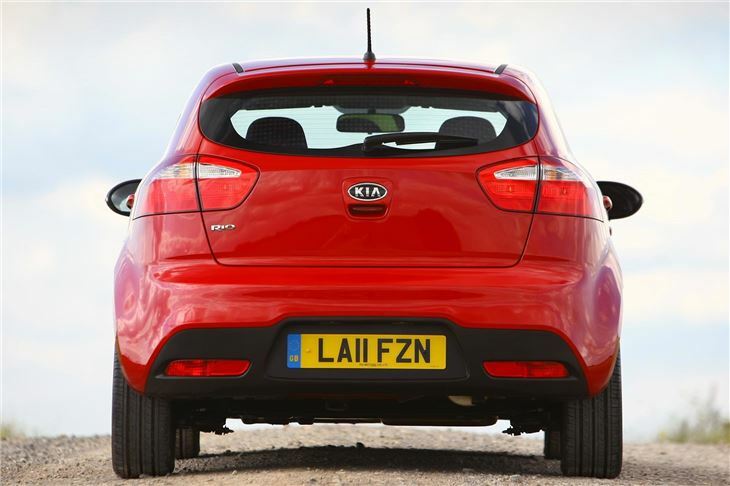 Those three words are the quickest way I could think of to convey the size of KIA’s new car. It’s actually called the KIA Rio, like its competent but ordinary predecessor. However, it’s anything but ordinary. 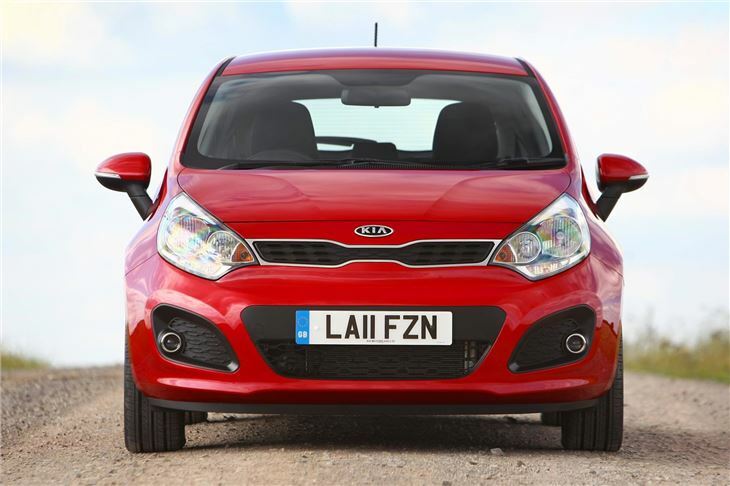 The Rio is KIA’s most important car to date, and it sets significant standards. Fitted with a special 1.1 litre 3 cylinder turbodiesel engine, it’s the lowest emitting internal combustion engined car in the World. Nothing else beats 85 grams per kilometre CO2 and an EC combined economy of 88.3mpg. VED exempt. London Congestion Charge exempt. If it gets anywhere near 88.3mpg in real life it will cost you hardly anything to run. 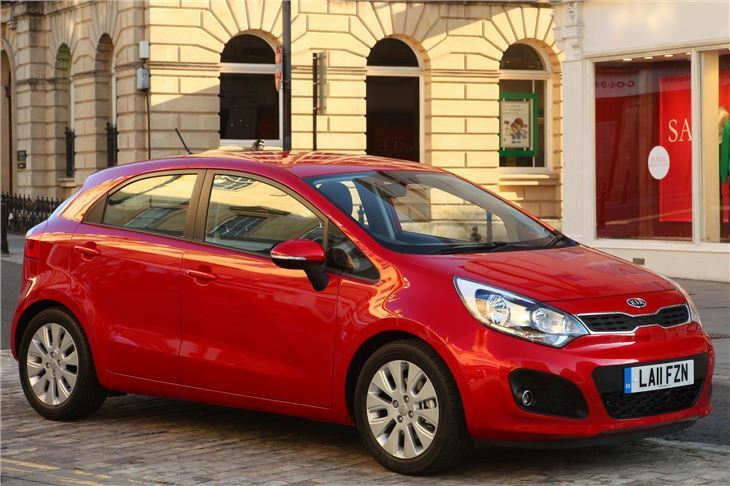 But the Rio is more than an economy special. 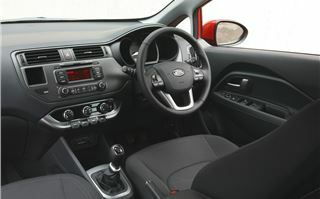 Like the Fiesta it’s a range of cars, with a choice of two petrol engines, two diesel engines, an automatic option, and a 3-door version to complement the 5-door in early 2012. Make your mind up about the styling. 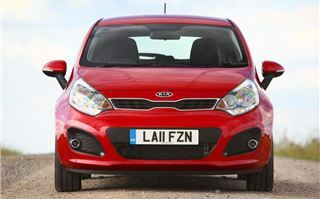 It carries a flattened version of the distinctive KIA ‘bow tie’ grille. It has a very sporty, even elegant profile. 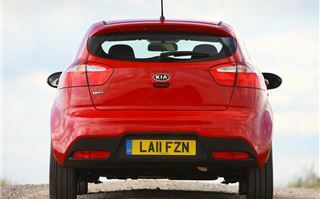 And an interesting hunched rear end with a family resemblance to the Sportage. It’s certainly eyecatching, for all the right reasons. Line it up against a Fiesta, a Polo, an Ibiza, a Corsa, a Mazda 2 and a Honda Jazz and it stands out without creating controversy or causing offence. 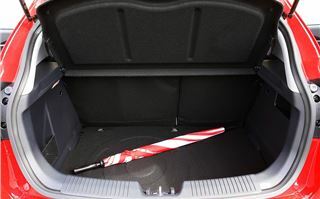 It’s a big small car inside. Class leading head and legroom in the front. Good quality trim. Excellent fit and finish. 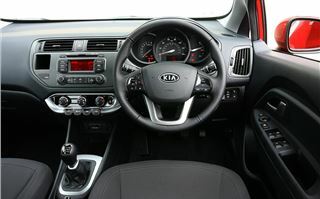 And some nice touches, such as two power sockets, so you can run your Tom Tom and charge your phone at the same time. I can’t tell you what the 1.1 diesel is like to drive because it hasn’t arrived yet. All the cars on the launch had 1.4 petrol engines, all were Rio 2 trim spec, and all were red. The steering wheel is fully adjustable. 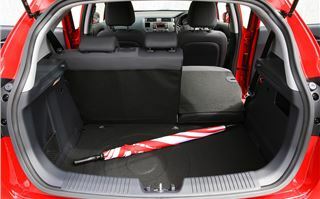 The driver’s seat is height adjustable. So there is plenty of scope for people of all shapes and sizes to get comfortable. The pedals and steering are light, but not overly so. The six-speed gearbox is precise. 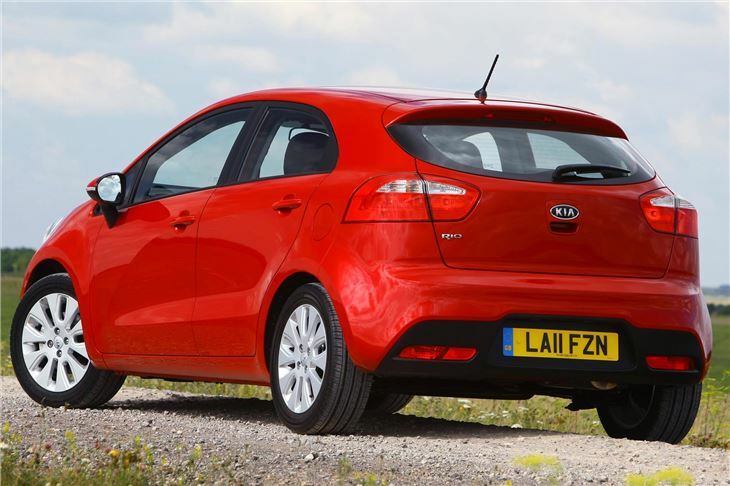 In 6th on the motorway the engine is giving 22.5mph for every 1,000 rpm, so it’s higher geared than the bigger KIA cee’d petrol models. The drive is entirely fuss-free. 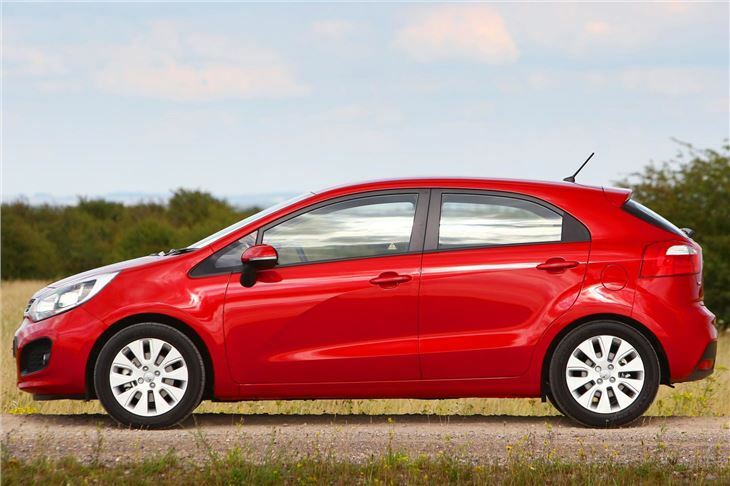 It doesn’t sparkle like a Mazda 2. But there’s absolutely nothing to complain about. 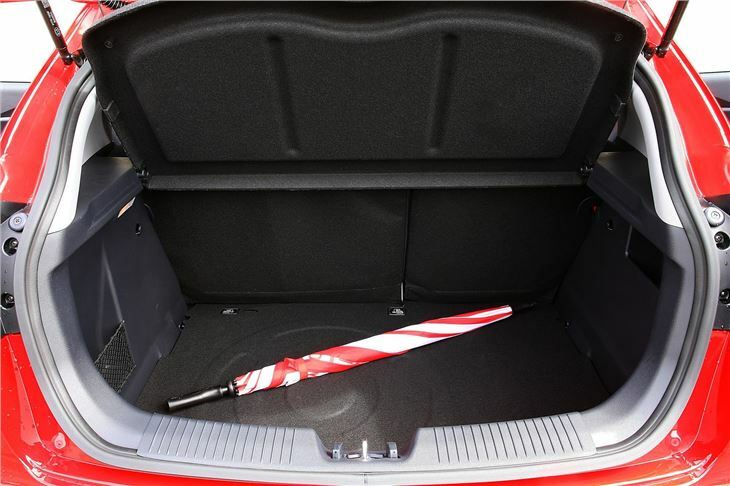 Mothers and fathers will be pleased to see three ISOFIX tethers behind the back seat, so three child seats can be properly secured. 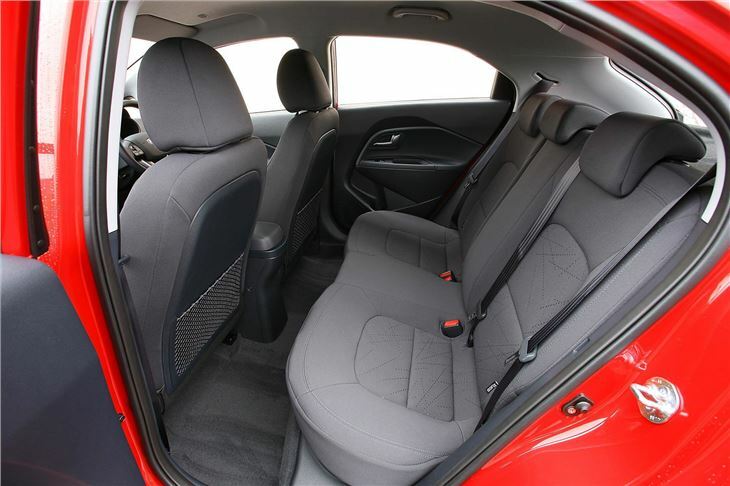 And there’s also an ISOFIX tether to secure a baby crib to the front passenger seat (Yes, the passenger airbag switches off). Back to that remarkable 1.1 diesel engine, all are under 100g/km CO2, but only the basic ‘1’ spec car without air-conditioning emits 85g/km CO2. 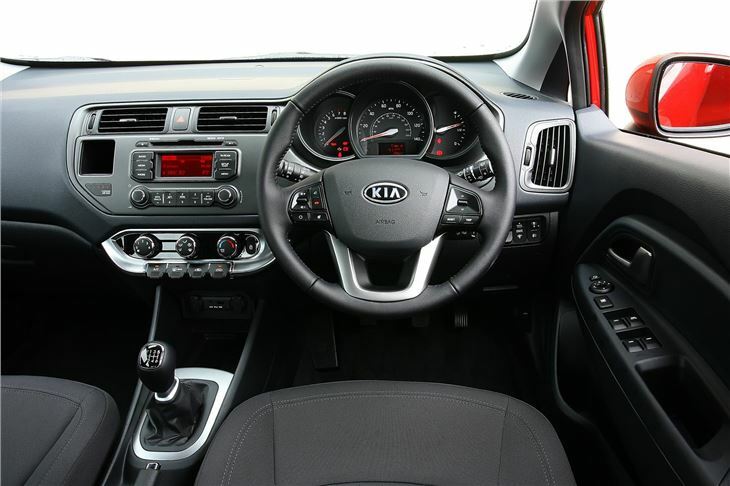 Aircon pushes it up to 94g/km and ‘2’ spec to 99g/km. It pulls long gear ratios, by developing maximum torque of 170Nm from 1,500rpm, but offers 120Nm from just 1,000rpm. An unusual technical highlight is that the manifold and integrated turbo housing are one piece. And it adopts the tricks like a decoupling alternator and Intelligent Stop Go. But if you check the specs you will see that all engines apart from the 1.1 EcoDynamics CRDI are over 100 grams a kilometre CO2, with the petrol automatic coming in at 150, so £130pa tax. The 1.4 manual is £95 tax. The 1.25 petrol £30 tax. And the 1.4 diesel £20 tax. 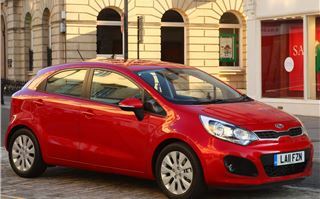 KIA expects to sell about 12,000 Rios during 2012. About 10% of the number of Fiestas that will be sold. If the UK was not in the state it is, I’d double that figure. And I’d still not be surprised if the Rio beat its forecasts. After all, why buy a Punto Evo or a Corsa when you can have a much better looking car that drive as least as well and comes with a seven-year warranty. 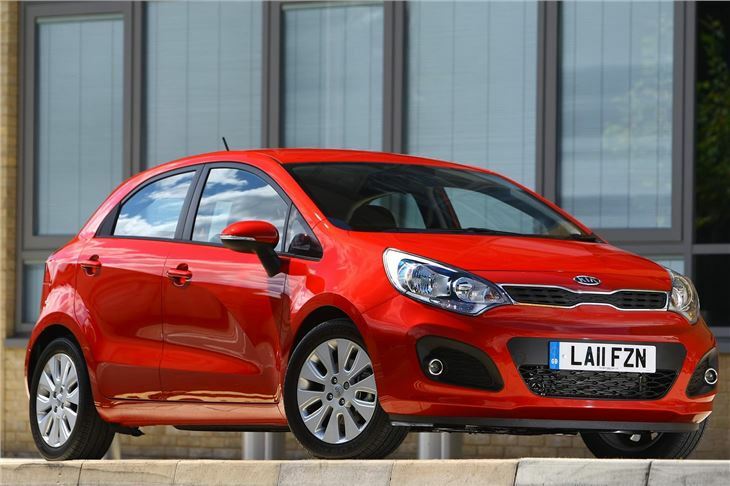 After just under 3 weeks and more than 1,000 miles the Rio is due to go back to KIA on Friday. 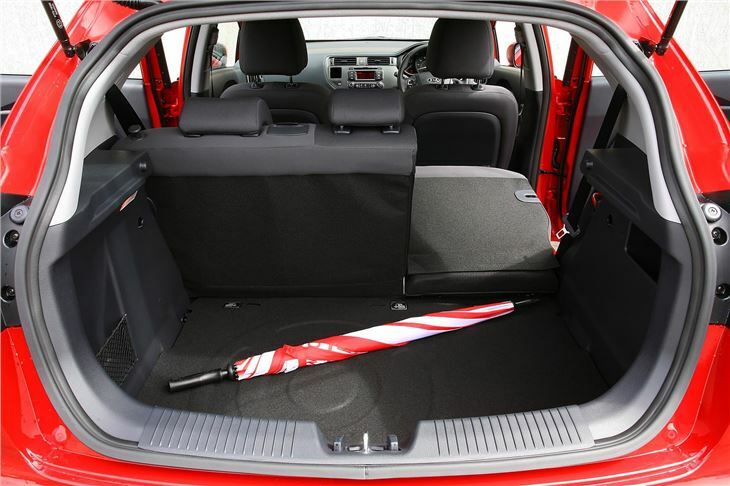 It continued to impress with its solidity and the thoughtfulness of some of its interior features. Two power sockets. An indentation to take a mobile phone. Lift the base out of the central cupholder and it becomes a smaller diameter can holder. Little things, but all good design. The 6-speed transmission is the best of any small car anywhere in the world. You can even confidently 'block change' from 6th to 3rd when approaching a roundabout. 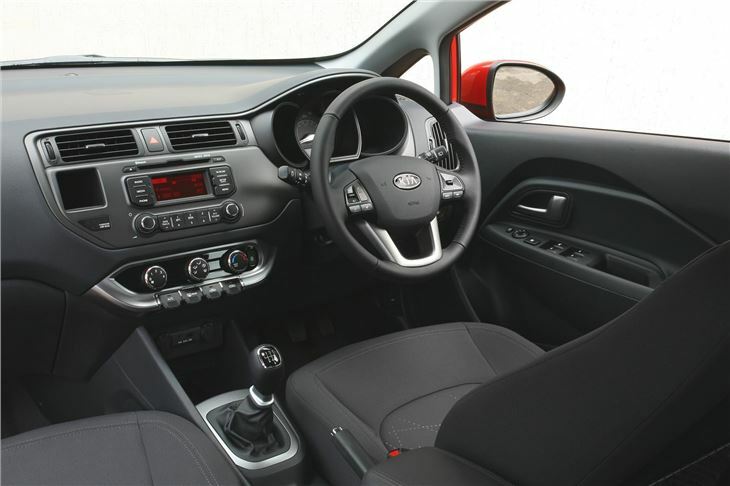 While the steering isn't the greatest, there's nothing wrong with the handling and roadholding at all, and the steering is actually much better when you're ragging it than it is on the motorway. Overall mpg: 45.2mpg on the meter and 41.6mpg calculated brim to brim.